Eighteen years after its inception, a South Carolina-based organization which raises money for law enforcement body armor says its cause is more important than ever. The recent economic downturn meant greater demands on police and sheriff’s officers, while at the same time local governments and law enforcement agencies experienced drops in revenue, said Michael Letts, founder of the non-profit In-Vest USA. In-Vest USA was born in 1993, when Letts’ local Kiwanis Club invited a deputy from the Richland County Sheriff’s Office to speak. During the question-and-answer session, club members were surprised to learn that law enforcement body armor were not standard-issue equipment for the department. 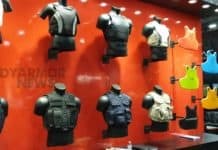 So club members decided to find a way to provide life-saving law enforcement body armor. 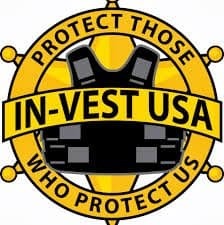 The result was the non-profit In-Vest USA, which raises money and provides matching funds for bulletproof vests for police, sheriff’s deputies, Highway Patrol officers and other first-responders. “We could have never imagined the success our organization has experienced,” said Letts.